Non-League Rimington Given Ticket Allocation Of 19,000 For Cup Final At Elland Road, Entire Village Only Has Population Of 400! 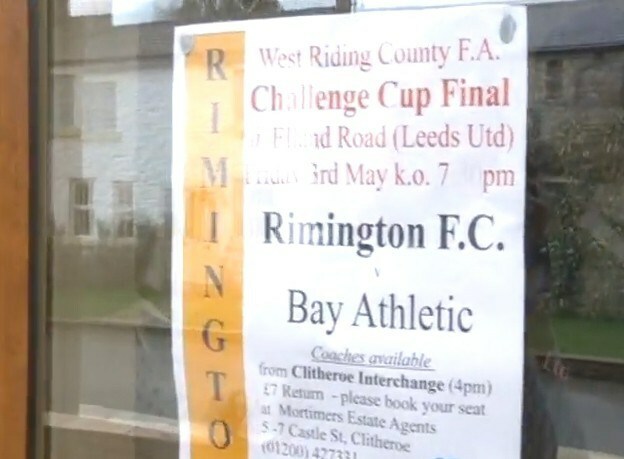 Non-league side Rimington FC have been bestowed with a humongous ticket allocation of 19,000 for their upcoming West Riding County FA Challenge Cup Final against Bay Athletic at Elland Road ground, despite the tiny village in Lancashire only having a population of around 400 people. The final is usually played at a much smaller 500-seater ground just outside Leeds, but West Riding County FA were keen to hype the game and booked Leeds United’s monster 39,000-capacity stadium as the setting for their showpiece at significant cost. Rimington have confirmed that they will be bringing a record crowd of 300 fans with them to the game, which means that roughly 18,700 of the £7 tickets are to be returned to the local FA and put on general sale, where we’re sure they’ll sell out in a matter of a few hours. The touts are going to have a field day with this one! Well played West Riding County FA, well played. RIMington FC. Lol. They should get filled easily. I wonder if there’s ever been a Clitheroe Problem, not unlike the infamous Scunthorpe Problem.